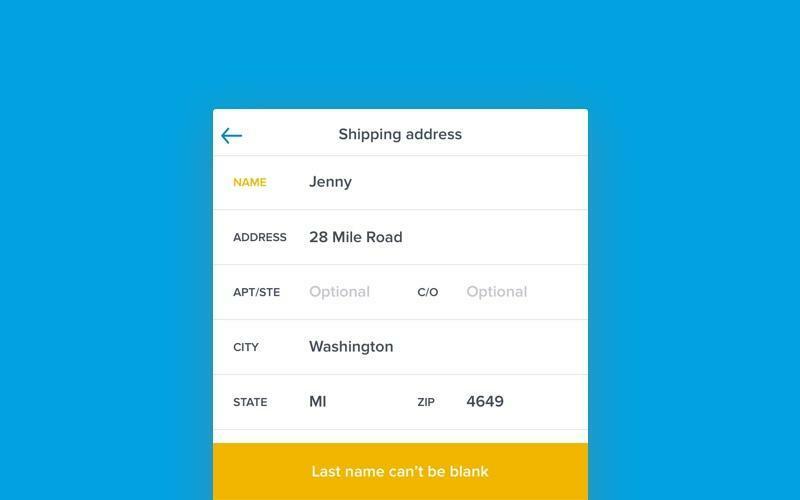 Around two weeks ago I had a conversation with one of my clients about how to implement the signup process for their ecommerce app for iOS. Our main goal was to make signing up as smooth as possible so we could get as many registered users as possible. We needed to collect a large user base to be able to generate meaningful analytics, promote the app, and receive feedback at the early stages of the startup’s product development. As a rule of thumb, we always say you should make user registration as easy as pie, so signing up via social networks was probably the most obvious solution. Long story short, we implemented both Facebook and Google registration in order to increase our number of potential users. But next we had to consider when we should prompt users to sign up. 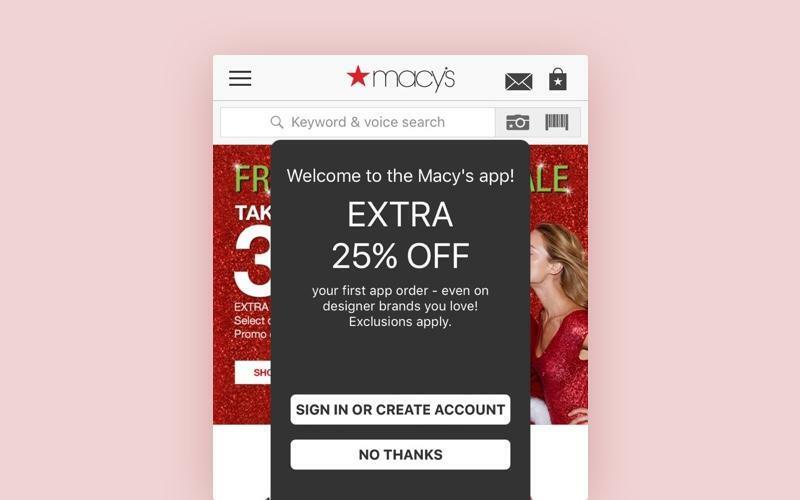 It’s clear why you shouldn’t require compulsory sign-up right after launching an ecommerce app. Still, it's essential to set a limit as to how far you let your users go in guest mode. I've tried to analyze some of the ecommerce services I use in my everyday life, and it’s turned out that many of them allow users to explore their app anonymously until the first time they like an item or save an item to their wish list. 6pm, Asos, Amazon, Etsy, and iHerb allow for endless ‘window shopping’ but prompt their users to sign up once they put something in the cart. At first glance, this seemed like a good UX pattern to follow, but later I realized that these ecommerce tycoon’s tactics won’t always work for small startups. Why not? 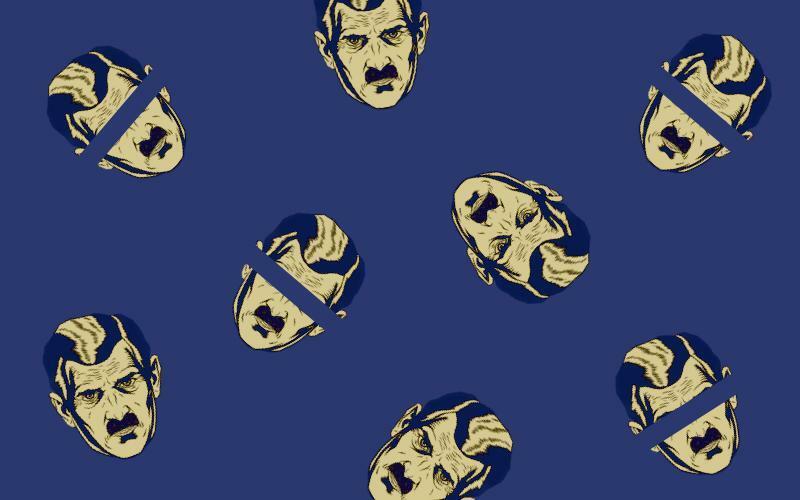 First, because the ecommerce giants aren’t always adaptive to their users’ needs – it may take them a lot of time to implement a new feature, and it seems to me that some UX patterns they use are already outdated. Second, people tend to be conservative. Users may forgive an uncomfortable UX of a service they’ve used for ages, but might scarcely spend time learning the new UX of some unfamiliar service. All these thoughts brought us to a crossroads: On the one hand, we wanted to gain a massive user base. On the other hand, we didn’t want to scare away 23 percent of customers with compulsory signup. And that’s where guest checkout comes into play. Guest checkout lets new users freely navigate through an app and make a purchase without forcing them to log in or register. Let's briefly describe the main pros and cons of using guest checkout in your ecommerce product. Guest checkout prevents you from tracking audience analytics, which can be really helpful for product development and improvements. If you still think that you need a classic registration and checkout process in your ecommerce application, we do have a couple of ideas for how to make it as smooth and painless as possible. How we can ease the regular registration/checkout process (and encourage users to sign up)? Actually, a standard checkout process can be simple: 1) fill out contact and delivery information, 2) add your credit card information, or pay with your PayPal account. Using third party services such as PayPal or Stripe for checkout is essential for increasing your sales. Such services are already familiar to the vast majority of users, so they feel more secure paying with PayPal than giving their credit card number to an unknown app. 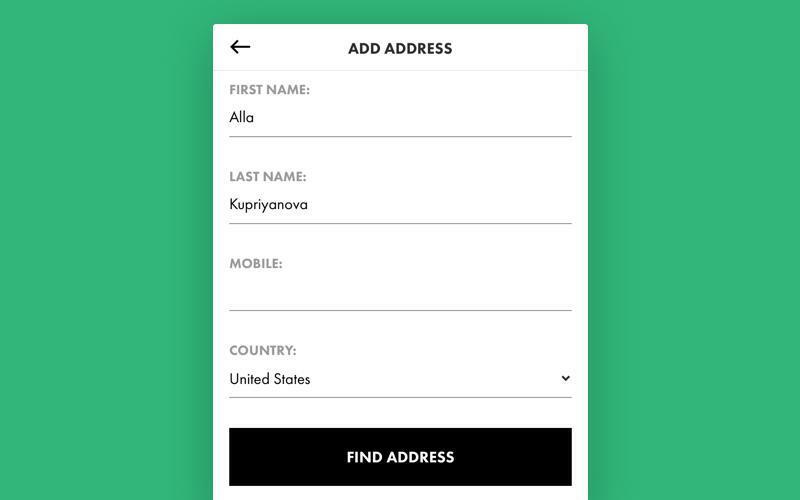 Making text field labels always visible is a good rule of thumb for any ecommerce service. Once you’ve filled out all the fields, it should be easy to scan them once more to make sure everything is correct. This saves most users a lot of time. Don’t be harsh when you prompt your users to sign up: Gently suggest that they register . Give your customers the opportunity to decide whether they want to become a member of your ‘shopping community’ or remain an anonymous, occasional visitor. Moreover, tell them how signing up now can make their lives much easier down the road. It’s essential to show your customer all the perks of becoming a user of your app. Most ecommerce services provide their regular customers with a tailored experience, personalized feed, and the opportunity to buy items with one click. 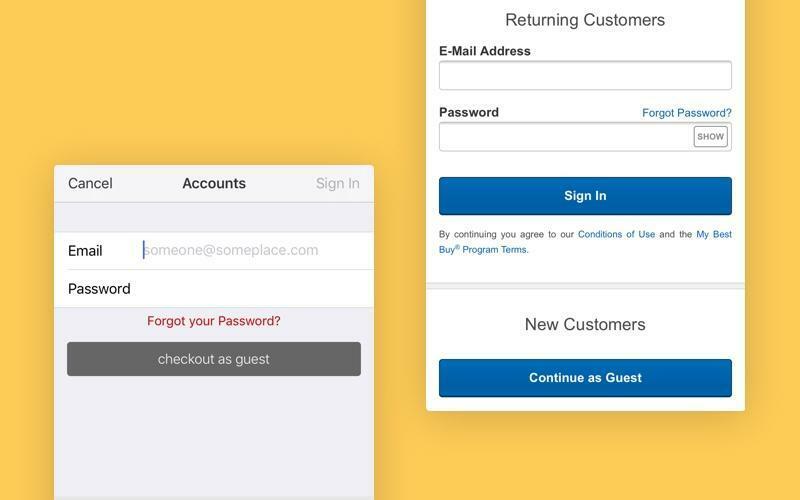 Pointing out these features can seamlessly lead your users to sign up. Still, don’t forget that it’s an app’s content that plays the key role in convincing new users to join your store.